The Obama administration may issue an order that would expand the National Environmental Policy Act’s scope to prevent global warming. The move could open up new avenues to challenge projects. I review grazing allotment renewal documents and rarely, if ever, have I seen climate change discussed. 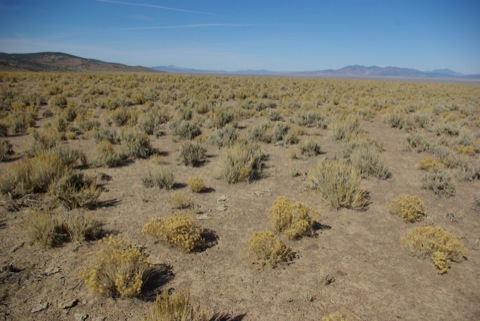 When it is discussed, and only in response to comments by WWP, the agencies claim that issues related to global warming and livestock grazing are beyond the scope of the project. Unfortunately, grazing compounds the effects of global warming by creating warmer and drier landscapes which, in turn, impacts wildlife. There is a very good case to be made that eliminating grazing from public lands would also reduce the effects of global warming by 1) reducing desertification and 2) increasing carbon sequestration in soils. 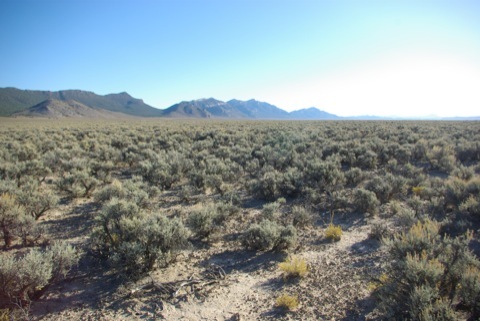 As Brian Ertz has illustrated in his post from last year, public lands can be very effective carbon sinks if allowed rest from livestock grazing. This is an important idea that needs to be kept in mind when discussing public lands ranching. If a huge solar farm ruins a large area that sequesters carbon dioxide into the soil, is it a net plus regarding CO2 levels in the atmosphere? Ralph, if we know the rate at which a large desert area sequesters carbon, it would seem to be a pretty easy calculation to find the net CO2 balance of such a farm. Have there been any studies that how the rate at which various desert landscapes sequester CO2? A few years ago I (and I believe Maska as well) were checking the grazing allotment renewals in the Apache – Sitgreaves. I wish I had thought of using climate change effects of public lands grazing.